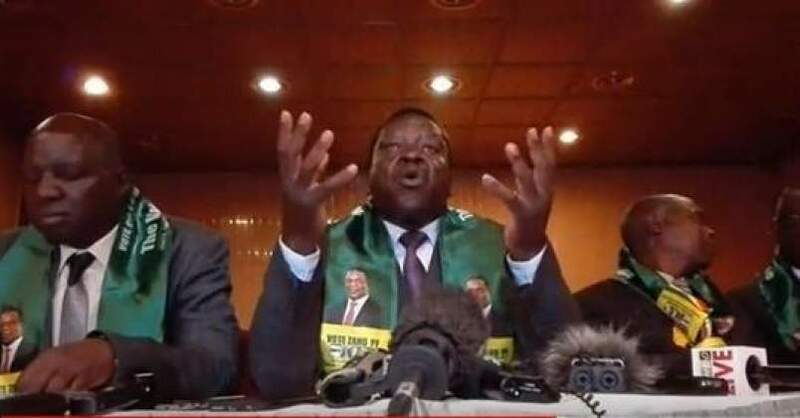 Former MDC Bulilima East MP Norman Mpofu has described war veterans secretary general Victor Matemadanda as a big fool following his vitriol attack on MDC Alliance leader and his lawyers over the court petition on Emmerson Mnangagwa's victory. "Mutematanda is a fool who thinks Zimbabweans are fools like him. Does he think any sane opposition supporter will heed his advice of replacing Nelson Chamisa. He is embarrassingly desperate," he said. "Why on earth will a coach of Madrid set a team for Barcelona before they face each other. Is he implying that Douglas Mwonzora is a puppet they can intimidate and manipulate. He scored a great own goal . Chamisa is hitting them hard and they feel his weight." "Iam thoroughly annoyed by Mutematanda's antics of trying to fool MDC supported to go for his preferred candidate. If Mwonzora is that good he must recommend him for ZANU pf."